Munduk Trekking and Tanah Lot Tour is one of Bali combination tour packages which is the tour trip duration 10 – 12 hours. 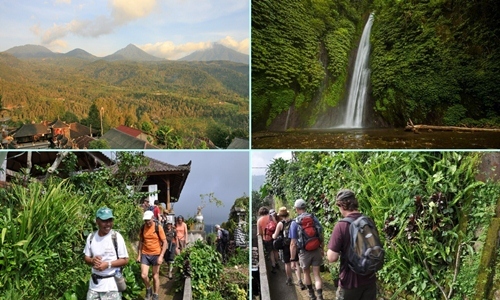 Munduk trekking and Tanah Lot tours special tour packages for those of you who are interest to see Bali countryside in north of Bali with long trek approximately is 2,5 hours. And then continue to having lunch at local restaurant, after that visit Bali Luwak Coffee or Coffee plantation to see how to made coffee with traditional process, on this place you can taste Luwak coffee and others Bali coffee product. Ahead to visit Tanah Lot temple located in Beraban Village, Tabanan Regency. Tanah Lot Temple is popular place to visit in Bali which is offer Beautiful Bali temple built on the rock and surrounded by the sea.